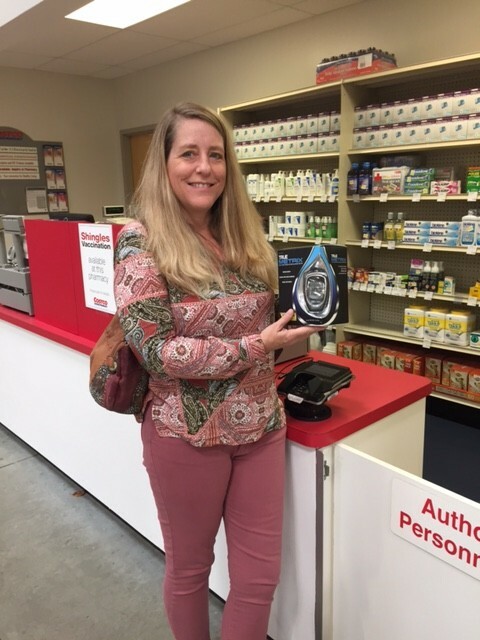 Joe is the friendly pharmacist at the Costco in Wilmington, NC, a Southern coastal town where the Cape Fear River meets the Atlantic Ocean, and where I did a Costco store tour to learn about products for people with diabetes. Joe showed me several blood glucose meters, including Lifescan, Contour and True Metrix meters. 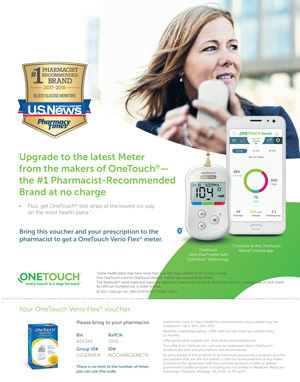 The easy to use True Metrix meter features “triple-sense tecnology” for accuracy, and no coding.It’s covered by Medicare Part B and most Medicaid plans, and test strips are affordable, and lower cost than other major brands. 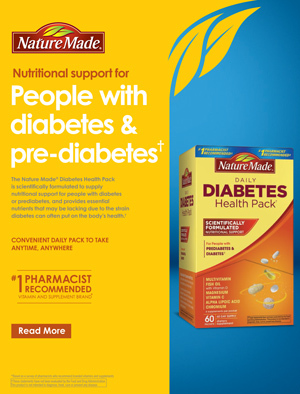 People with diabetes are twice as likely to develop arthritic joints, so Costco carries Kirkland brand Glucosamine and Chondroitin supplements at great prices. Joint pain and swelling cause people with diabetes to have stiffness, which leads to problems with activities of daily living. Painful shoulders, back, knees, hips, and feet from arthritis can make a person with diabetes less likely to move around and be active. 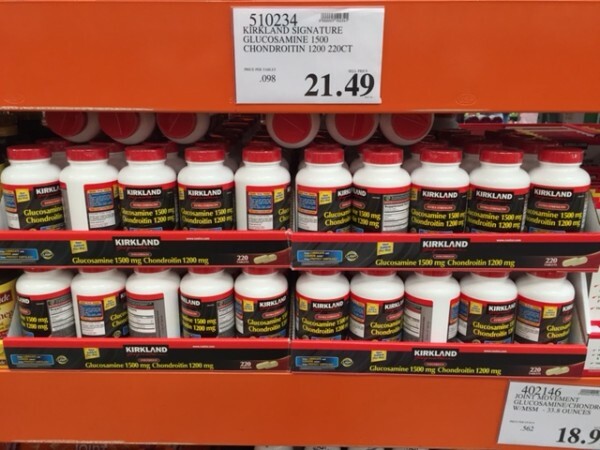 Kirkland and Cosamin products for joint health, available at Costco, decrease wear on joints. As always, consult with your healthcare provider before starting any new supplements or making changes to your diabetes plan. 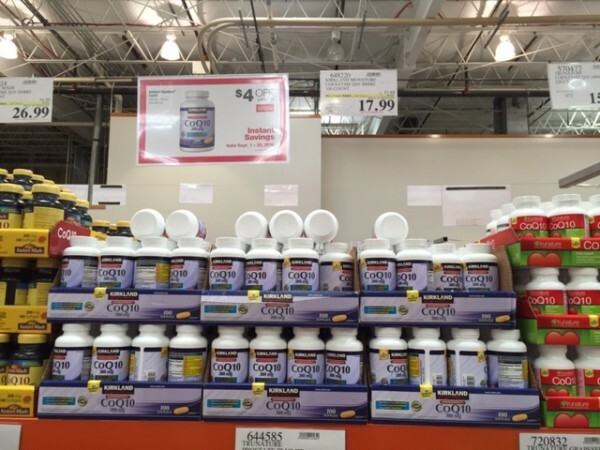 Continuing my tour of the Costco pharmacy,I found COQ10, a popular supplement, but is it good for people with diabetes? COQ10 is found in all of the cells in your body. Your body makes it, and your cells use it to provide energy for cell growth and repair. COQ10 works like an antioxidant, and helps protect your body cells from outside damage. 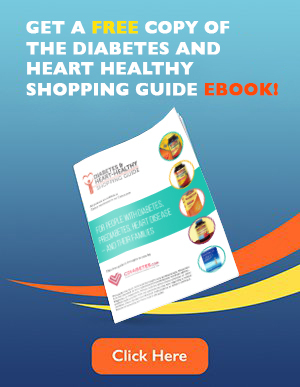 If you have diabetes and take a statin medication for high cholesterol, you may already be taking CoQ10, a COQ10 supplement. CoQ10 has been shown to lower blood sugar, so use proper precautions, and always have quick-acting carbohydrates available for a low blood sugar. Check with your healthcare provider before starting COQ10 supplements. 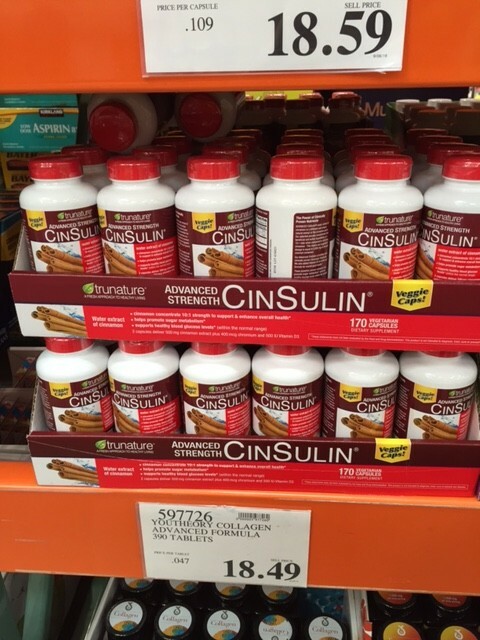 Studies have shown that cinnamon, the main ingredient in CinSulin, helps decrease blood sugars for people with diabetes. 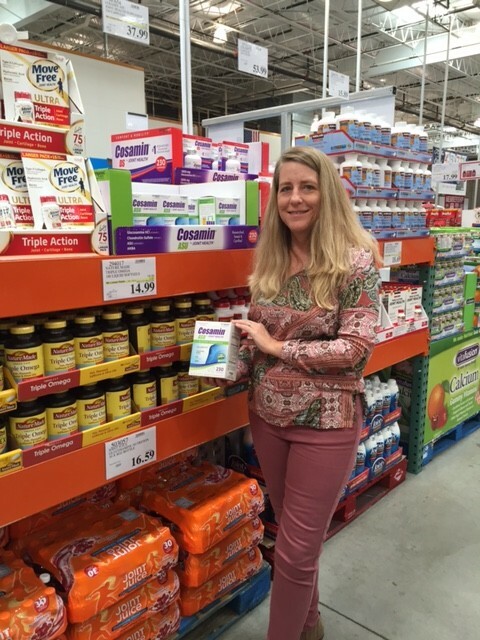 Use precautions for low blood sugars, and carry glucose tablets (also available in the Costco pharmacy), or another source of quick-acting carbohydrate, with you at all times. 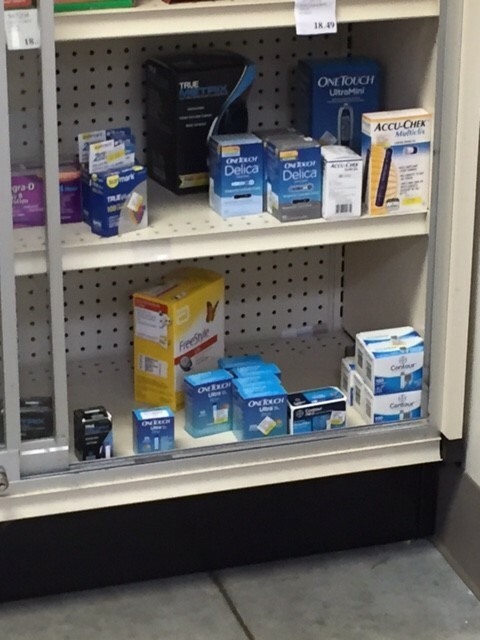 If you use a glucagon pen, carry that with you as well. Always check with your health care provider before starting any supplements or changing your diabetes plan. 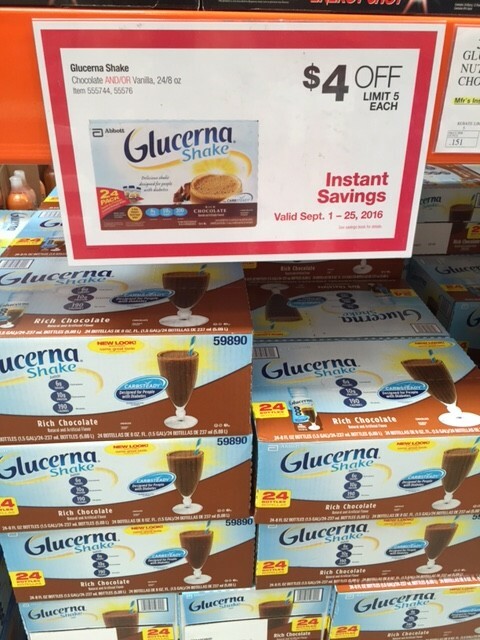 Glucerna products, also in the vitamins and supplements section, help minimize blood sugar spikes as part of a diabetes management plan. Older people with diabetes often have decreased appetite, and Glucerna meal replacement shakes are specifically designed for them. Consult with your health care provider before supplementing meals or snacks with Glucerna. 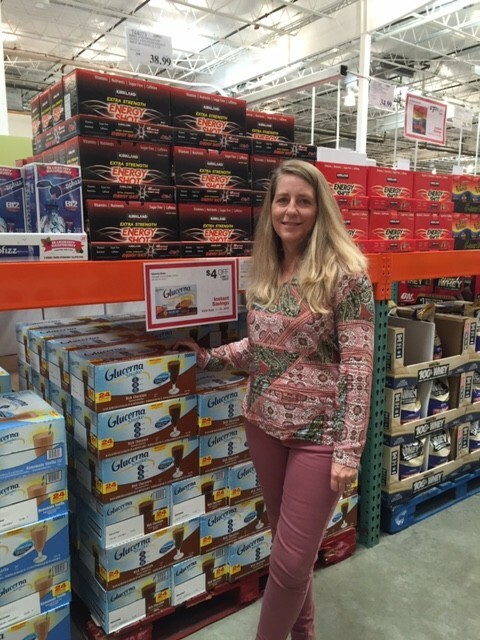 I enjoyed my tour of the Costco in Wilmington, NC, and was pleased to see all the diabetes-friendly products. I encourage you to take a tour of your own Costco, and see the great variety and values for yourself.